You are this years SIGGRAPH 2016 Computer Animation Festival Jury’s Choice which is a very special award provided by the jury each year to highlight a piece that has transcended art, and technical achievement. 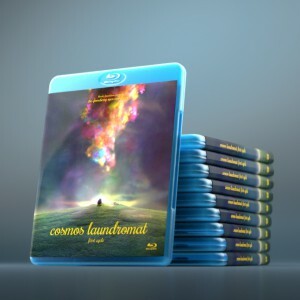 Cosmos Laundromat was considered to be one of the most important pieces in this years show by the Jury. The gritty subject matter, and storytelling sucked them in and beautiful style and technical elements kept them watching. In addition to its strength as a piece, the back story that this is created by a .org, and done so to help build tools to put them into the hands of new content creators who maybe can’t afford commercial tools wasn’t lost on the jury. 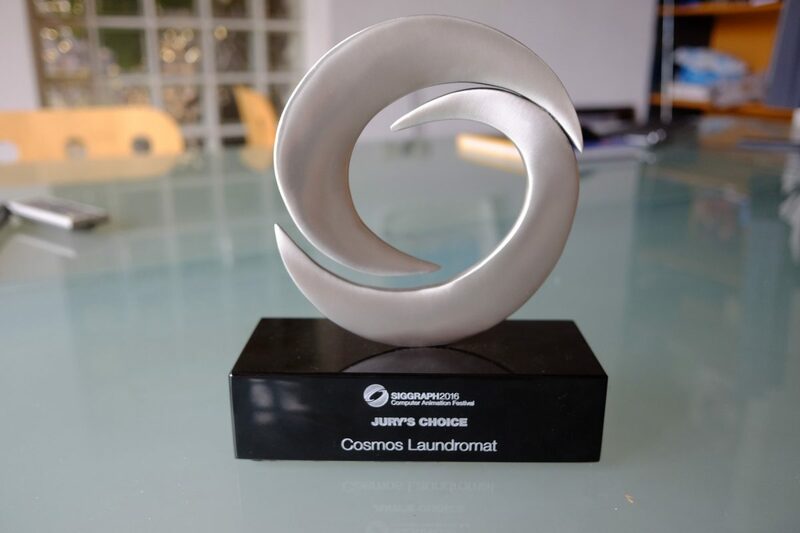 Our jury consisted of eight senior industry practitioners and educators and the entire story of Cosmos Laundromat is the reason it deserved special recognition in this way. This is wonderful, but could we have some update on the Second Cycle? Don’t get me wrong, I love this project, and would like for it to be the best it can be, though it becomes worrying when there gaps spanning months between updates. I noticed that First Cycle is now on Netflix, and that idea of the project as a whole being picked up by Netflix came to mind. There’s just no news. The costs for making episodes makes it a tough target for crowd (or cloud) funding, and the original nature and concept of the film a tough target for commercial funding. I’ve been at Netflix to talk about about making a 4k re-render. The topic to make new episodes also came up. As soon as there’s something tangible I’ll share it here right away! Ton, I just want to say how much I appreciate that an authoritative source is not afraid to engage the community directly like this, taking time to answer our questions and give complete responses. One of the reasons why I have so much faith in the Blender development community! any update?? It’s been a while.